Take the hassle out of organising your business class flights to Raleigh with Just Fly Business. We find you the perfect options to suit the needs of your trip with flights, accommodation recommendations, car hire, transfers, and parking tailored specifically to you. Our personal travel consultants work hard to get you the best deal on your business flights to Raleigh, while building long lasting relationships with you or your business through our superior service. Located west of the city centre, Pullen Park is the oldest park in the state and still draws a crowd of both visitors and locals alike on warmer days. With scenic beauty surrounding the lake, it is the perfect escape from the hustle of the city. The park also contains a number of attractions to keep families entertained, including a 1911 carousel, boat rentals, an outdoor theatre, and a small open-sided train that offers fantastic views of the landscape. Insider’s Tip: Visit the park if in Raleigh during Autumn as the changing leaves around the lake are a photographer’s paradise! 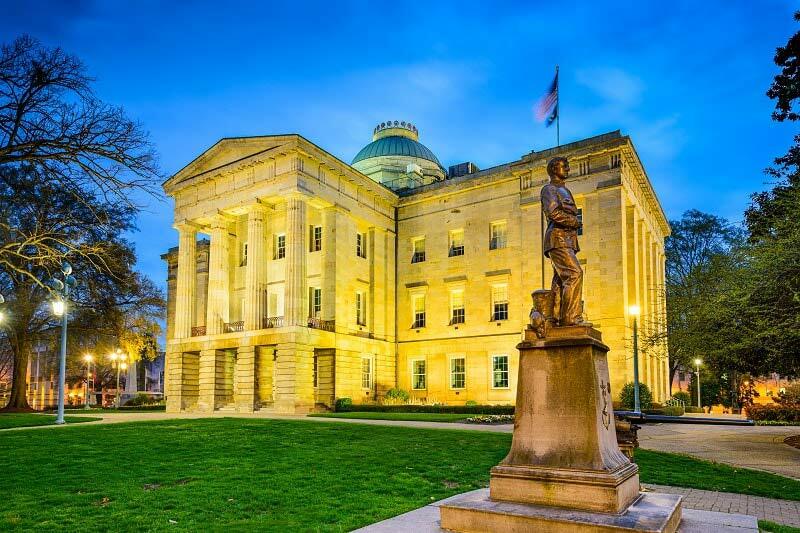 Completed in 1840, the North Carolina State Capitol Building is a National Historic Landmark and remains one of the best-preserved examples of Greek Revival architecture. Restored to its original appearance, guided tours are available that take in the 3 floors as well as the statues and monuments located in Union Square. Flights to Raleigh are also used for the nearby city of Durham which offers visitors a fantastic opportunity for a day trip. The history of the tobacco industry in the city is prevalent and the streetscapes of the American Tobacco District and Brightleaf District have both been preserved fantastically. Now lively entertainment precincts filled with restaurants, shops, and an amazing atmosphere, it is easy to spend time people watching in these lovely areas. 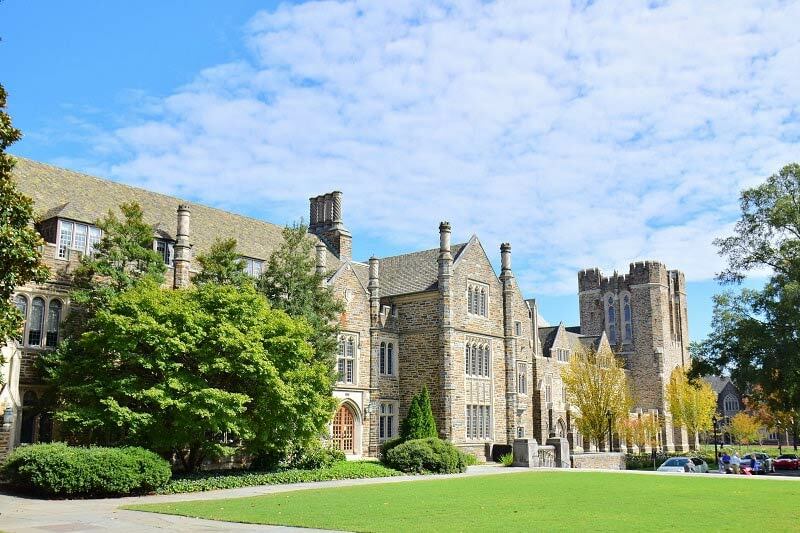 Durham is also home to Duke University, one of the country’s top colleges. Beautiful Georgian and Neo-Gothic architecture has visitors feeling like they on countless movie sets, while the manicured grounds can be explored on a Campus tour on weekdays. Insider’s Tip: The Duke Chapel is a particularly lovely building located in the West Campus. Opposite the State Capitol Building, and in the same block as the North Carolina Museum of History, the Museum of Natural Sciences is a must see on holidays to Raleigh. With displays ranging from dinosaurs and whale skeletons, to a “living conservatory” where you can walk amongst butterflies, this museum offers visitors an amazing experience for all ages. Situated adjacent to the Convention Center, the Raleigh Marriott City Center is the perfect location for your upcoming business function. 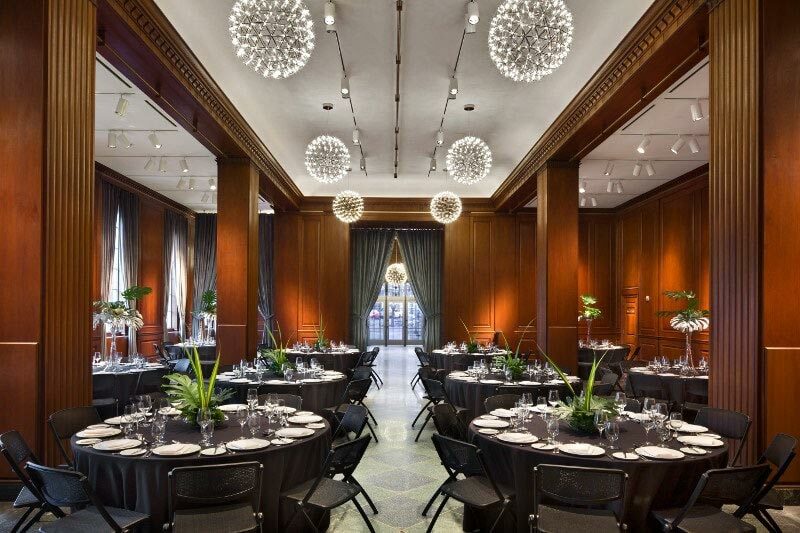 Close to Duke University, the Durham Convention Center, and within walking distance of both the American Tobacco and Brightleaf Districts, the 21C Museum Hotel is a boutique and quirky option for your business’s needs. The Raleigh-Durham International Airport services both Raleigh and Durham, making it the ideal choice for the area. The cities lie just 25 miles apart with the airport between the two centres. The major city of Charlotte to the west, as well as the coastal city of Wilmington, both lie within a 3 hour drive from Raleigh. The naval city of Norfolk in Virginia is a similar distance and provides visitors with the opportunity to tour the world’s largest naval base. 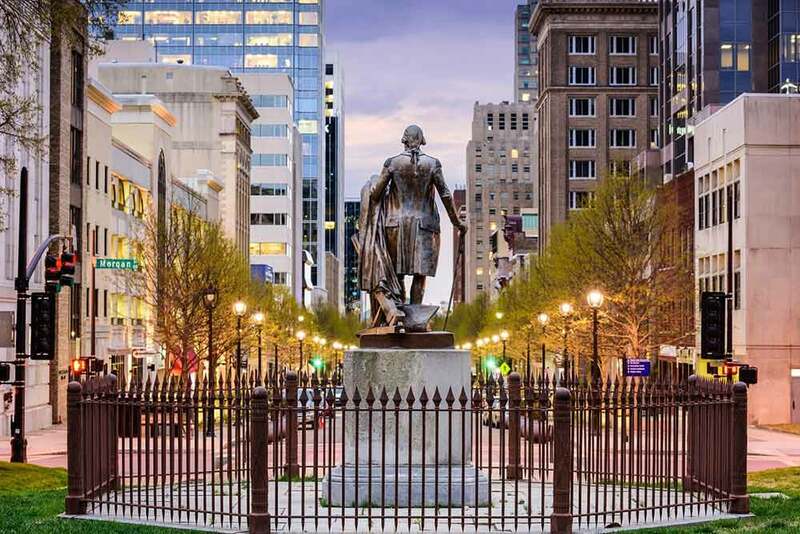 Include Raleigh on a self-drive itinerary taking in the highlights of the Deep South, including the colonial charm of Charleston and Savannah. Alternatively, hire a car and include drive through history, visiting famous Presidents homes, such as Thomas Jefferson’s Monticello near Charlottesville, and George Washington’s Mount Vernon Estate, all on the way to the famous city of Washington D.C.
As the third largest country in the world, The USA has so much to offer visitors that it is impossible to see it all in one trip. You may just have to come back again!